It was a foggy morning with a thick layer of mist covering over the park. From my cottage at Apoka Hostel, I could hardly see solitary buffaloes grazing in the vicinity. All I could see were moving shadows. The temperatures had sunk so low to the levels of Kabale. For this remote national park which lies in the far northeast of Uganda, isolated from the rest of the country by sparsely populated arid lands of Karamoja region, it was surprising to rub shoulders with such weather conditions. It was 6am. I had woken up early for my game drive as advised by Leslie Muhindo, the park’s Warden. He says the best time to do a game drive is early morning because you get chance to see almost all the park’s animals as by this time some animals are just returning home after a hectic hunting night while others are preparing to go grazing. However, the mist was making visibility difficult. But soon, it cleared as the fog moved to form white linings on the rolling mountains. A yellow safari Land Cruiser owned by Apoka Lodge was parked outside the hostel with its driver, Ibrahim Mwesige ready for the drive. My guide, Phillip Akorongimwe armed with an AK47 took to the back seat as I settled for the middle with Muhindo. Just a thirty minute drive out of the hostel, we came across the most sought after animal, the lion. I had earlier been told that lions are easier to find in Kidepo than any other park in Uganda. I proved it. Following the vultures on two trees, our guide knew this was the right place to trace lions. “They can’t just be there. They must be looking at something,” Akorongimwe said. Usually when a lion makes a kill, the vultures patiently wait for it to have its share before they descend on the remains. And when we branched into the bush, we found the king of the jungle lying next to a carcass (which must have been of a buffalo, given its size). The ‘dining’ area had been cleared of grass, a sign that it was a scuffle before the kill. The wound on the lion’s right front leg said it all. For all the time we were there, it never minded our presence. We actually came as close as two steps away and it wasn’t bothered. Before meeting the lion, we had come across a big herd of about 1,500 buffaloes. It is here that for the first time I saw an albino buffalo. The buffaloes were feeding in the Narus Valley, a green valley that is kept wet by the Narus river. This valley is actually referred to as the heart of the park. During dry seasons, all animals congregate here to access water. Narus in Karamojong means mud. Before Kidepo was gazetted into a park, there was communal hunting in the area. Hunters usually competed for the river water. What used to happen is that whichever group reached the water point first would make sure it finishes all the water leaving only mud for others. That is why it ended up being called Narus Valley. Kidepo Valley National Park is ringed off by mountains and divided by two valleys; Narus in the southwest (which is usually green) and Kidepo in the northeast (which is usually dry). But although the Kidepo Valley is usually dry, it is worth visiting its dry river bed. Lined by lovely borassus palm forest, its 50 meter wide course is a swathe of white sand. Enroute to Kidepo Valley, Kanatarok road passes through a 10km enclosure contained within 2 meter high electrified fence. The enclosure created in 2001 works as a secure location for the introduction of locally extinct and endangered species such as giraffe, eland, Grant’s gazello and roan antelope. To the south of the park, you can’t miss the famous Mountain of God locally known as Moru Akuf. This mountain was named after its magical nature. Apparently, it occasionally sets its own fire, which later burns out on its own. That if there are efforts to stop it, it mysteriously burns wild. Akorongimwe who has ever watched this fire says sometimes it burns in a straight line stretching to Narus river. Have you heard of the sausage tree? It has sausage fruits which hang like sausages. You can’t miss seeing these nice looking medicinal fruits which among the Acholi people are buried with people who die without giving birth. Apart from the wildlife, the biggest wonder here is Katurum Lodge, one of late president Idi Amin’s ambitious projects. The plush lodge set high has been abandoned ever since it was vandalized in 1979 soon after completion. What remained after the vandals were done, was destroyed by a bush fire set by warring Karimojong tribes. Built using rocks, it now serves as shelter for wildlife with animal waste littered all over the lodge. The lodge had a capacity of over 100 rooms with a nice view of the park and it is a must visit especially for birders. From the lodge, you can look out for Fox Kestrel, Eastern Chanting Goshawk, Grasshopper Buzzard, Montague’s Harrier, Fan Tailed Raven and the very rare Stone Partridge. Kidepo is seldom visited by tourists due to the expense and difficulty of getting there. However, the few who make the long journey agree that it is one of the most alluring destinations in the country. For many years, insecurity in northern Uganda and Karamoja region meant that a visit to Kidepo involved fly-in safari. But this is expensive for ordinary Ugandans. A return trip by chartered helicopter for a group of four costs $3,235 (more than Shs 6.5m). The park also has an airstrip that accommodates light aircraft. But now that relative peace has returned across northern Uganda and Karamoja, driving to Kidepo is once again a feasible option. There are four routes; Kampala-Mbale-Soroti-Moroto-Kotido-Kaabong-Kidepo (792kms), Kampala-Mbale-Sironko-Nakapiripirit-Moroto-Kotido-Kaabong-Kidepo (740kms), Kampala-Karuma-Lira-Kidepo (705kms) and Kampala-Karuma-Gulu-Kitgum-Kidepo (571kms). 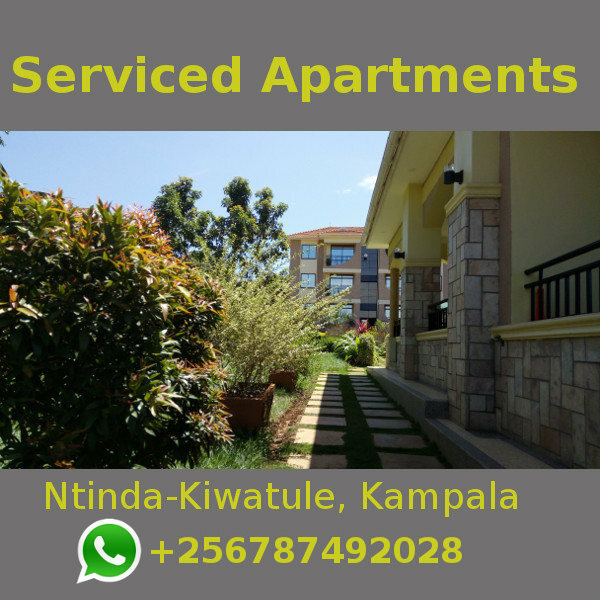 Accommodation is affordable depending on where you chose to stay. Uganda Wildlife Authority (UWA) provides bandas at a self catering hostel. Here, bottled drinks are available but visitors carry their own food. A night in one of these cottages costs Shs50,000. If your wallet is heavier, you can choose to stay at the nearby Apoka Safari Lodge. The plush lodge overlooks the Narus Valley towards Napore-Nyungea mountains. The main lodge building occupies a large timber deck beneath a grass thatched roof. 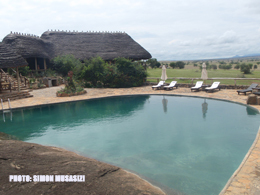 The lodge has a magnificent swimming pool with a natural rock floor with panoramic Kidepo views. A double cottage at Apoka Lodge costs $244 (approx. Shs 490,000) a night while a single cottage costs $295. Seated on 1,442sq.km, Kidepo is the third largest park after Murchison and Queen Elizabeth National Parks. The bird checklist of 463 confirmed and 26 unconfirmed species is second only to Queen Elizabeth. Birds which are regarded as ‘Kidepo special’ include the ostrich, kori bustard, fox and white-eyed kerestels, white-bellied go-away bird, little green and red-throated bee-eaters, and abyssinian roller among others. Five primate species have been recorded in Kidepo. Predators are particularly well represented with 20 species. Of these, the black-backed jackal, bat-eared fox, aardwolf, cheetah and caracal are found in no other park in Uganda. There are also hot springs in the north bordering with Sudan.